The Royal Australian Mint (RAM) have launched (3rd April) a new coin series which features the nine planets in our solar system and also benefits from a domed or concave-shaped strike. The first coin in the series concentrates on our home planet, the Earth, and how it may appear to observers in outer space. Since ancient times and most likely well before, humans have held a fascination with the heavens, wondering and marvelling at their sheer spans, the Moon, and the stars — later to discover that some were, in fact, other planets. Humankind continues to look up to the heavens with amazement and awe but we now have a greater understanding of own solar system thanks to the extraordinary explorer modules launched into outer space that relay vital information and findings. As man looks to land on the planet Mars within the next 10 years, the space race and the ability to develop an Earth colony on the “red planet” draws closer than ever. 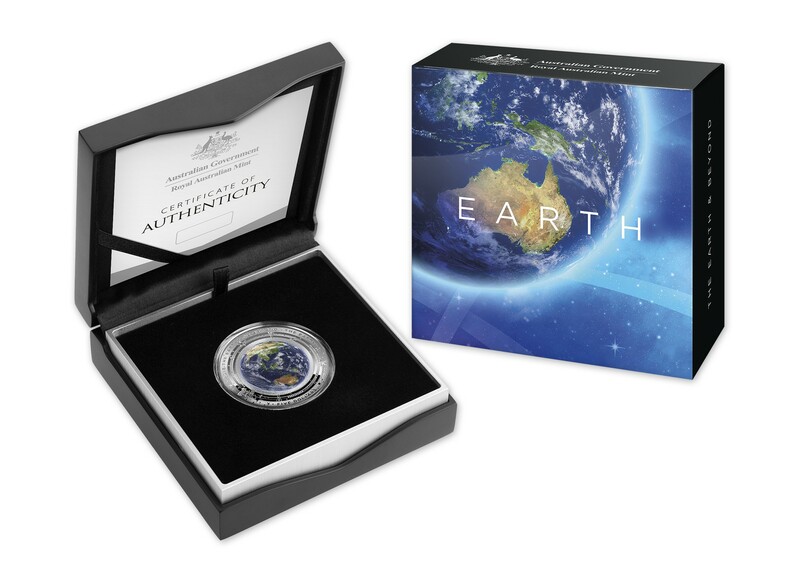 This new coloured, dome-shaped silver proof coin celebrates our home the planet Earth and perhaps, as it is seen from our closest solar neighbour. 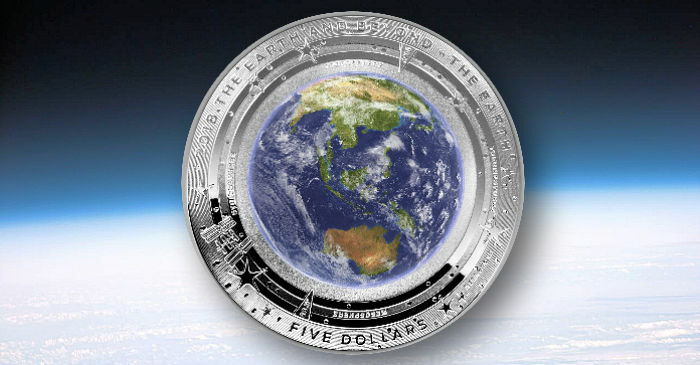 The reverse side of the coin includes a vivid colour depiction of the Earth, along with a representation of a satellite, and is surrounded by star shapes and directional coordinates. The text surrounding the primary design reads 2018 • THE EARTH AND BEYOND – THE EARTH. The coin’s denomination of FIVE DOLLARS is placed below the design. 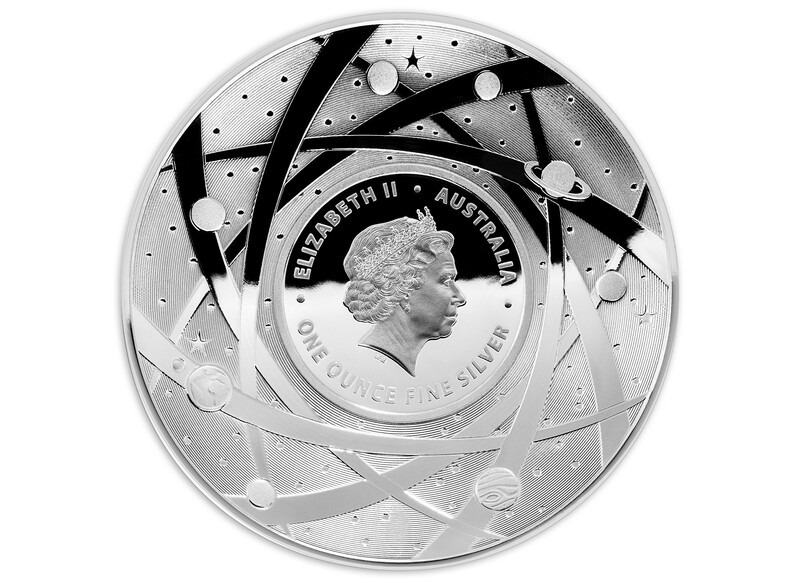 The obverse side includes an effigy of HM Queen Elizabeth II, as created by Ian Rank-Broadley, and has been seen on all Australian circulation and many commemorative coins since 1999. The effigy is placed in a central motif encircled by a design of the nine planets encompassing the solar system. 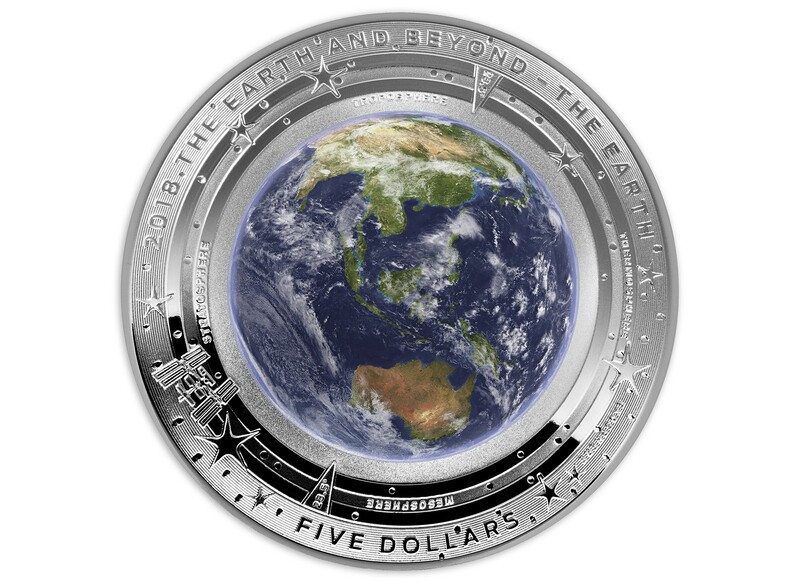 The first coin in the series entitled “The Earth and Beyond” is a shining tribute to the nature and fragile beauty of our planet. The concave-shaped coin is encapsulated and presented in a custom branded RAM case along with a certificate of authenticity. It is expected that eight or nine more coins (with the inclusion of the Sun) will be added in due course. For more information on this coin and others available from the Royal Australian Mint, please visit their website. Really? Information from dealers is it’s a 3 coin series. I too have heard that, at least, the first 3 coins will be of Earth, but the areas of the Earth’s surface will be divided into 3 equal parts. So, for instance, the 2nd Earth coin would have Europe/Africa, and the 3rd will have the Americas. It seems only fair since two-thirds of the World is presently disappointed that only Australia and Asia are represented in this initial coin. Hmmmm. I wish that someone from the Mint would let us know so that we could better assess the value of this initial coin. However, from a collector’s point of view, significant sales of ALL the planets would be guaranteed by the need of most to collect ALL the planets. Maybe they are waiting to see how many people complain that they chose Australia/Asia to represent all of Earth – to see whether they need to create a 2nd and 3rd Earth. BUT…. the series is entitled Earth “…and BEYOND” — so I guess they HAVE to make more than Earth. Right?? However, I still think there might be enough complaints and enough increase in potential sales that they might make 3 versions of the Earth.